Ford Motor Co. in Dearborn Thursday announced it is increasing its Ford GT production to 1,350 vehicles, up from the original 1,000 cars allotted in 2016. The shift comes after more than 6,500 applicants signed up to purchase the sports car. Ford GT production will run for about six years. Starting Nov. 8, Ford will reopen the application window to customers hoping to join the next group of Ford GT owners for select global markets. Prospective owners will be able to submit their applications for 30 days at FordGT.com. Previous applicants must confirm or modify their original applications to be considered in the final window. Successful applicants will work with the Ford GT Concierge Service for a personalized purchase experience of cars produced in 2020-2022. 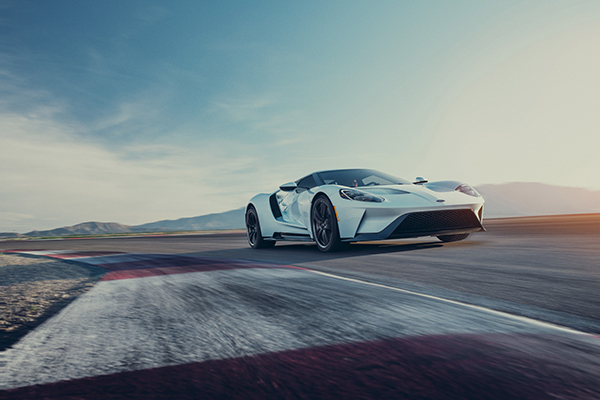 Production of the Ford GT, which is powered by a twin-turbocharged, 3.5-liter EcoBoost V6 engine and features a carbon fiber architecture, active aerodynamics, 647 horsepower, and 216 mph top speed, began in December 2016. Edmunds, an online car-shopping guide based in California with a satellite office in Detroit, reported the Ford GT would start around $400,000.